SA’s youth desperately need more employment opportunities. What initiatives are under way to tackle the situation? For one day, there were smiles all around. Youthful energy and optimism were palpable as young South Africans, wearing orange baseball caps and white branded T-shirts, posed for photos next to politicians and business leaders, giving their thumbs-up for the cameras. Yes, the official launch of President Cyril Ramaphosa’s Youth Employment Service (YES) in March was a good PR opportunity. And yes, it’s expected to be so much more than that. If YES – hailed as the country’s first social compact between government, business and labour – succeeds in its mission of giving one million young, black South Africans paid work experience over the next three years, it could be able to delay (and hopefully help diffuse) the ‘youth time bomb’. 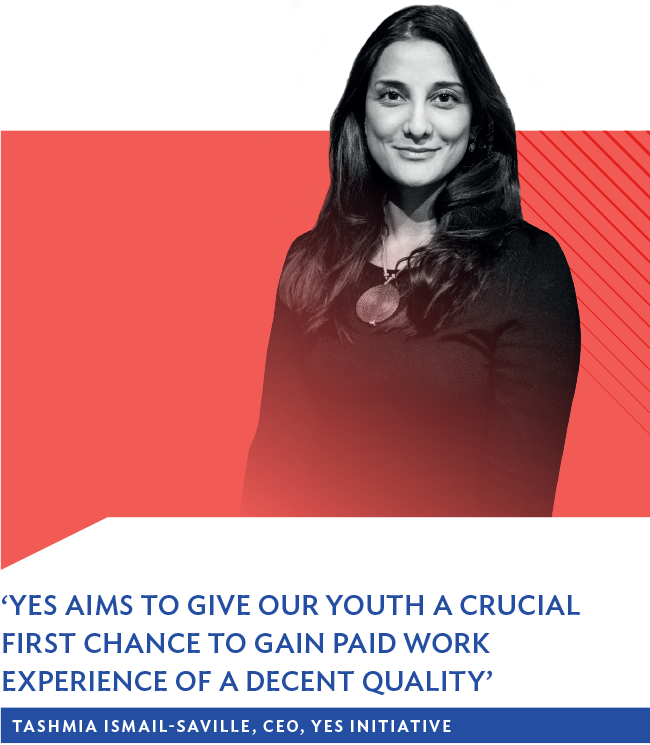 According to CEO Tashmia Ismail-Saville, the YES initiative aims to give that portion of our youth largely overlooked by the country’s current employment models, ‘a crucial first chance to gain paid work experience of a decent quality. 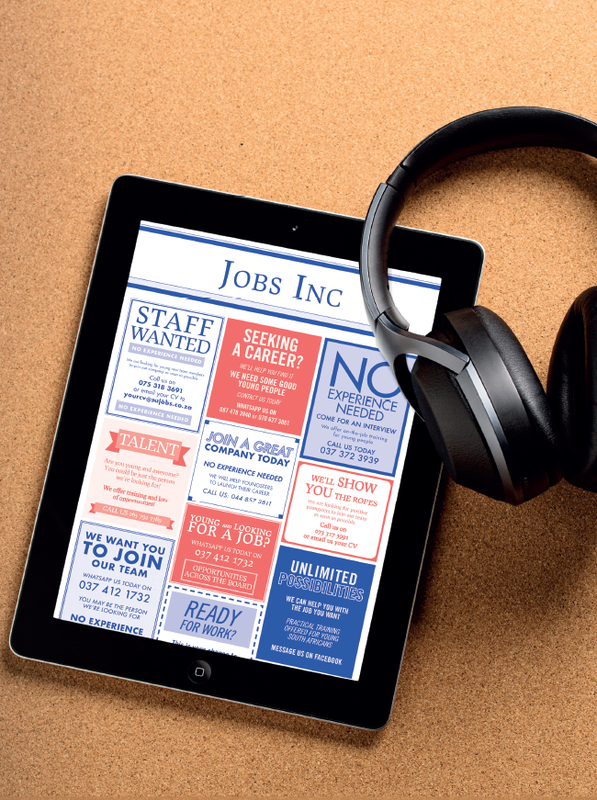 This significantly increases their chances of securing permanent employment after the year’. Sourcing candidates through YES can give companies access to people who they would not normally be able to find, she says. 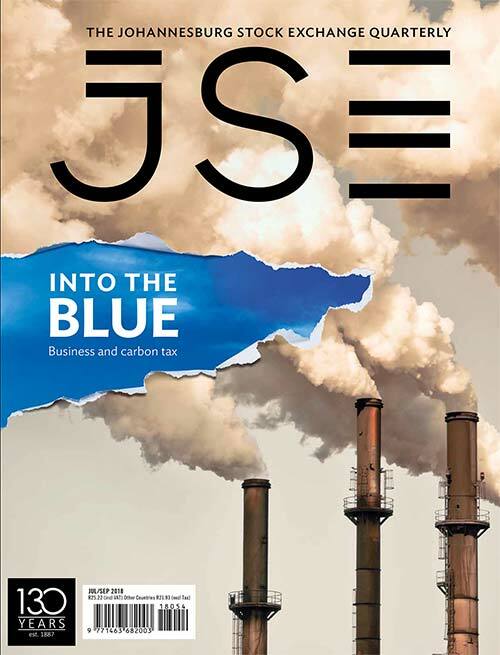 Corporates are encouraged by existing incentives – such as the BEE scorecard, the Youth Employment Incentive and Employment Equity plans – to create new job opportunities. 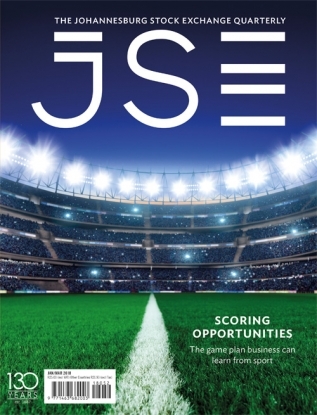 Absa, Discovery, Exxaro, FirstRand, Illovo, Imperial, Investec, MTN, Nedbank, Pick n Pay, Sanlam, Sasol, Unilever and Woolworths are among the big names already committed to YES. Yet time is ticking. Four out of 10 young South Africans aged between 15 and 34 have become discouraged with the labour market and aren’t building their skills base – they are ‘not in employment, education and training’ (NEET). According to Stats SA, this means that among the country’s 20.2 million youth the NEET rate has increased year-on-year from Q2 2017 by 0.4% to 39.3% in the second quarter of 2018. ‘Black women are the most vulnerable when it comes to unemployment,’ says statistician-general Risenga Maluleke, revealing that the NEET rate for young black African females exceeds 40%. Several analysts and media houses are reporting youth unemployment to be as high as 52%. However, the Quarterly Labour Force Survey Q2/2018 puts the unemployment rate for young people (between 25 and 34 years) at 33.6%, more than double that of the 45-to-54-year age category, which stands at 16%. That’s the ‘time bomb’ scenario. But depending on the trajectory of the economy and the actions of government and the private sector, Africa’s rapidly growing youth population could still be turned into a ‘demographic dividend’ – defined as the potential economic growth that can ensue when there are more working-age people (15 to 64 years) than non-working people (younger than 14; older than 65). 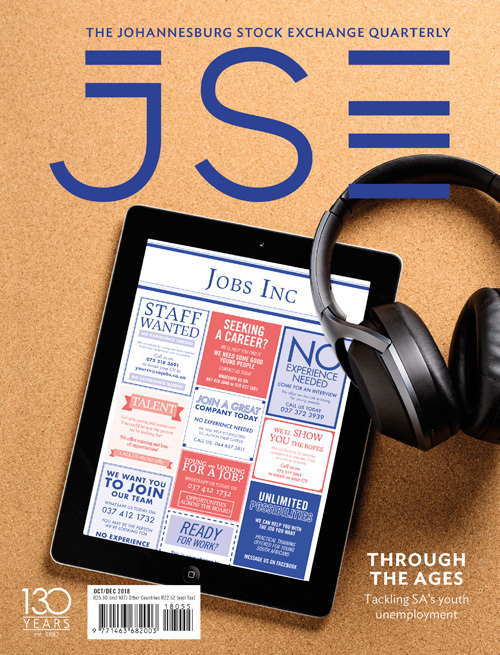 Jannie Rossouw, head of Wits University’s School of Economics, welcomes the YES initiative, because he says the biggest challenge for young South Africans is landing their first job. Unfortunately he doesn’t foresee any demographic dividend. ‘We’re sitting on a demographic disaster,’ he says. 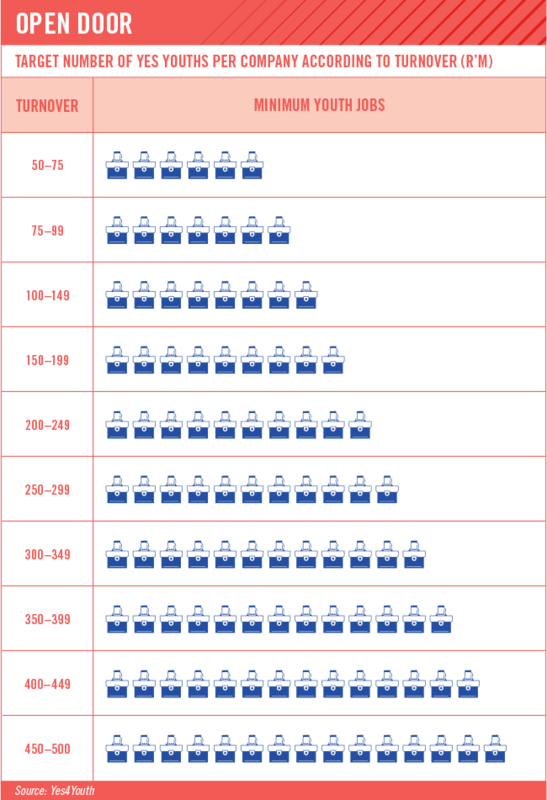 Among the deeply rooted, systemic issues facing South Africa is the high dependency ratio. A large number of citizens – about one-third of the population – depend on social grants, which are funded by a small base of taxpayers. According to Rossouw, 62% of children under the age of 18 – that’s 12 million minors – are beneficiaries of child support grants. He advises the following approaches: slow down population growth by encouraging people to have fewer children; and stimulate economic growth to employ more people, so they can support themselves and no longer qualify for child grants. 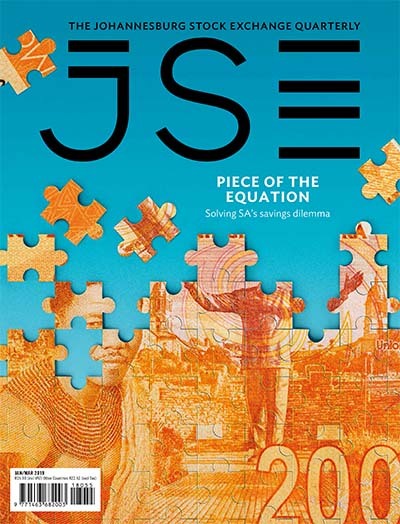 ‘Government can’t lift growth by spending money because there simply is no more money,’ says Stanlib economist Kevin Lings, who adds that instead it should foster a more conducive environment for private-sector investment to capitalise on the youthful demographics. 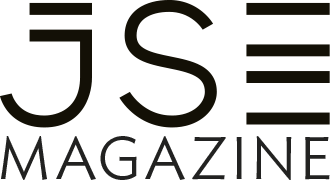 Speaking at the Allan Gray Investment Summit in July, he said: ‘Government has borrowed approximately R1 trillion over the past eight years, yet has not been able to dent the youth unemployment rate. According to Lings, the country needs to create 600 000 jobs a year in order to reduce unemployment, which he says is particularly crucial given that SA’s average age is around 24. One of the proverbial beast’s heads is the dysfunctional education system, which is still failing many young South Africans. Starting with early childhood development, the educational outcomes of the school curriculum are often inadequate and not tailored to the needs of the labour market. It’s interesting to note, he adds, that ‘whenever there are good results, there is an excellent teacher or principal somewhere in the mix. It may be time to ask what the relationship might be between teaching excellence and learner performance, and start with fixing the real problem’. One such project by the NPO Symphonia for South Africa is doing just this: Partners for Possibility teams up principals of under-resourced schools with business leaders in a 12-month leadership development programme. More than 625 000 schoolchildren have already benefited from the improved leadership skills and better quality of teaching. In July, Partners for Possibility became one of just six global projects to receive the 2018 World Innovation Summit for Education Award in Qatar. ‘The principal, just like a business leader, can have up to 40% positive effect on the results of our learners,’ says Bonang Mohale, CEO of Business Leadership SA, who endorsed the programme during his tenure as chairman of Shell SA. 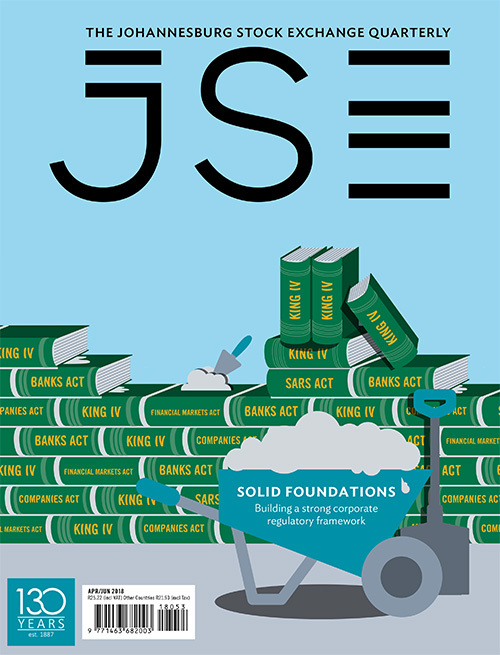 Corporate SA is trying to improve education through CSI bursaries and training programmes. According to CSI consultancy Trialogue, education continued to attract nearly half of SA’s total CSI spend of more than R9 billion in 2016/17. More than 90% of companies supported education in this way in 2016. This is crucial, because research shows that youth don’t want handouts but are eager for an opportunity to learn, work and contribute to society. There are many different paths after school, not just the academic route but also training for artisans and entrepreneurs. Sasol, for instance, now also supports young people striving for national diplomas, BTech degrees, and artisanship at universities of technology and TVET colleges. Another pathway is social entrepreneurship, where young people turn their creativity into a business that not early earns them an income but solves problems in their community. 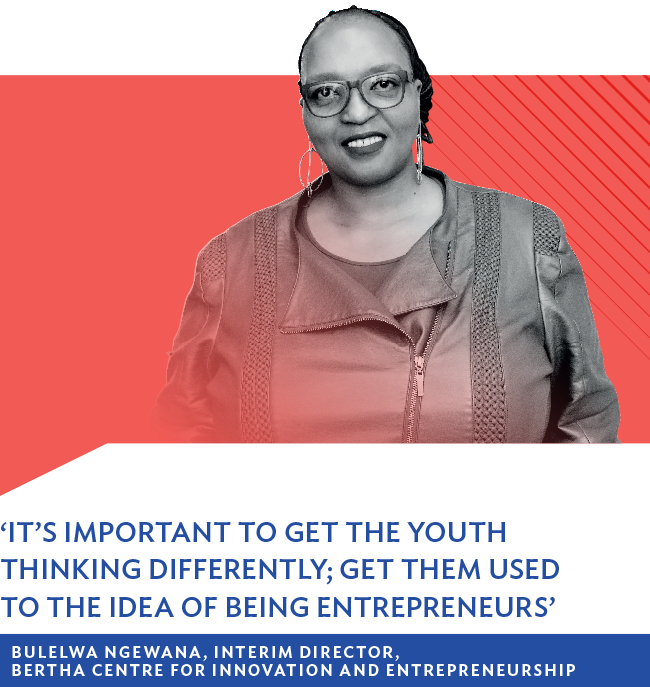 Bulelwa Ngewana, interim director of the Bertha Centre for Innovation and Entrepreneurship at the UCT Graduate School of Business, says: ‘It’s important to get the youth thinking differently; get them used to the idea of being entrepreneurs rather than job seekers. ‘Many people from townships and previously disadvantaged communities are brought up around survivalist entrepreneurship. They have parents and grandparents who have small businesses, but that’s not enough. We need to get them thinking a little bigger. Ramaphosa’s YES initiative also supports entrepreneurship and SMEs by developing youth-owned micro-enterprises that feed into the sponsor company’s supply chain. Transcend has set up a YES division to advise clients and assist them in recruiting and placing suitable youth, as well as building absorption plans. Tshabangu says that beyond the obvious broader economic benefits, companies can use YES to build future talent for themselves and their industries. ‘They will also get an enhanced B-BBEE recognition, depending on how well they meet the required targets on completion of the programme,’ he adds. If all goes according to plan, the initiative could become a valuable tool for all stakeholders, which would make the YES launch in March more than a mere PR exercise – with the much-publicised gathering of smiling young people and leadership marking the turning point for SA’s youth.